There are currently 94,250 users on this website. 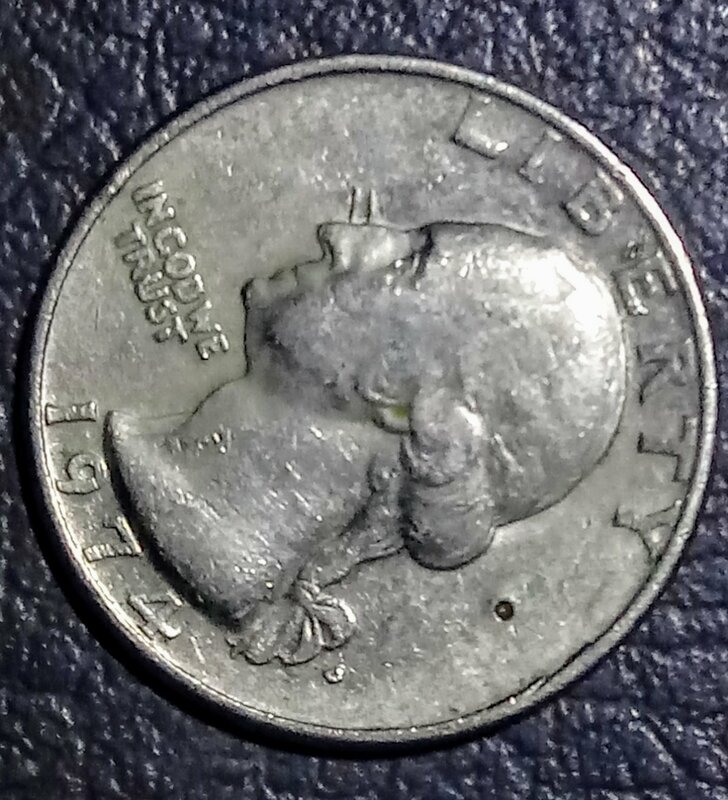 1974 D Quarter Possible Vandalism ? To CCF! It shows Post Strike Damage ( PSD) not surprisingly. 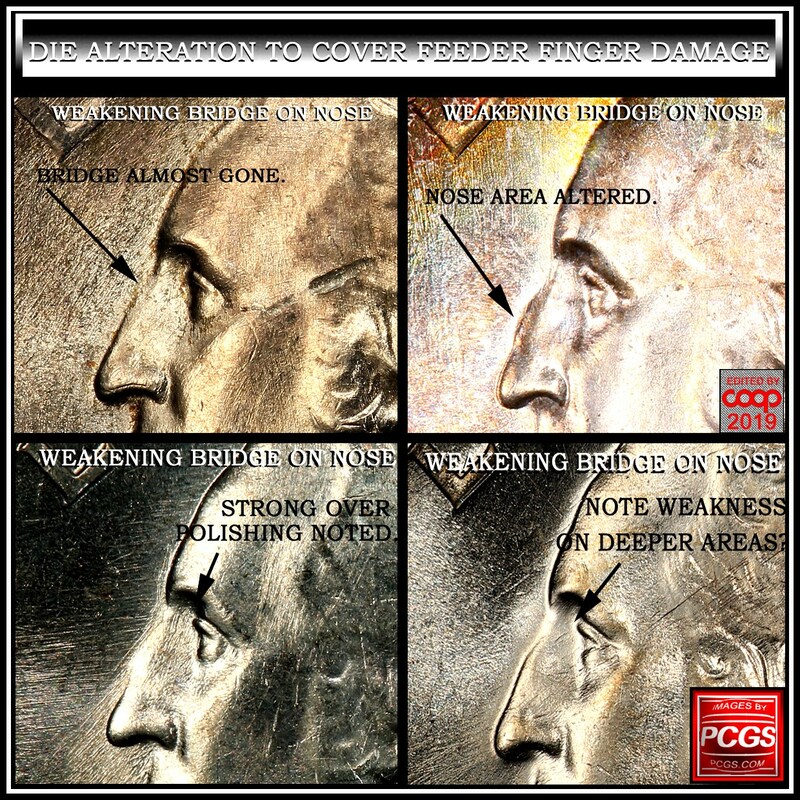 The damage happened after it left the U.S. Mint (happened after the coin was struck). I can't think of anything other than damage to explain that. 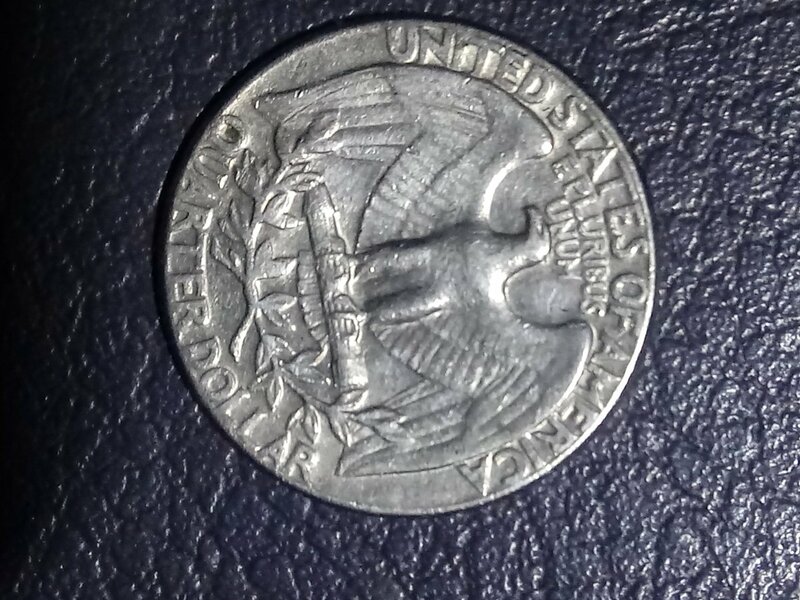 Can you post pics of the other coin you have with a similar mark? to CCF. What is going on on the nose? Good question. Are those two marks raised? Can you give us a close-up? 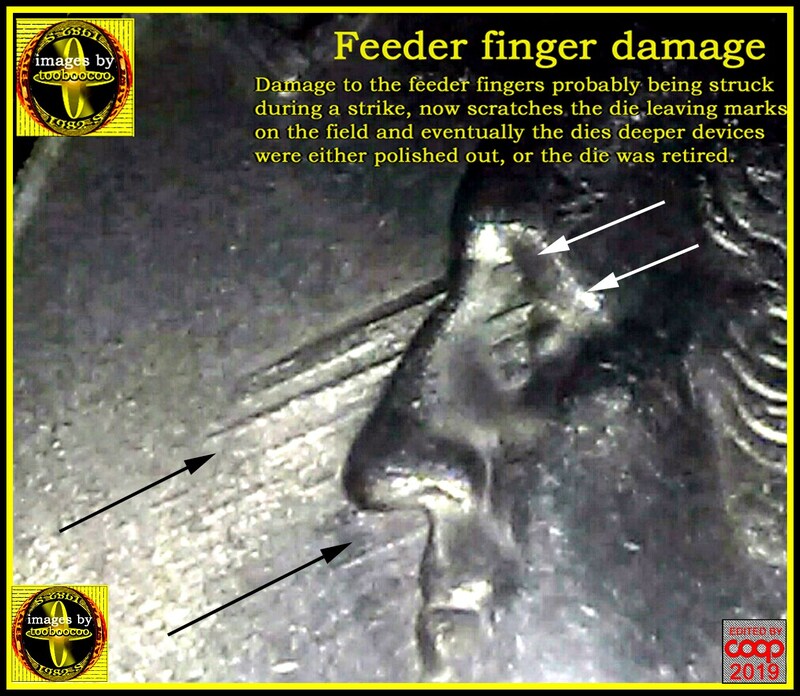 They may be feeder finger die scratches? Note a single one on the que area? Looks like the feeder fingers are going in a different direction. But this is an older coin, maybe the new quarters are using a different hammer/anvil die location? What is going on on the nose? Those do look a lot like feeder finger die gouges.